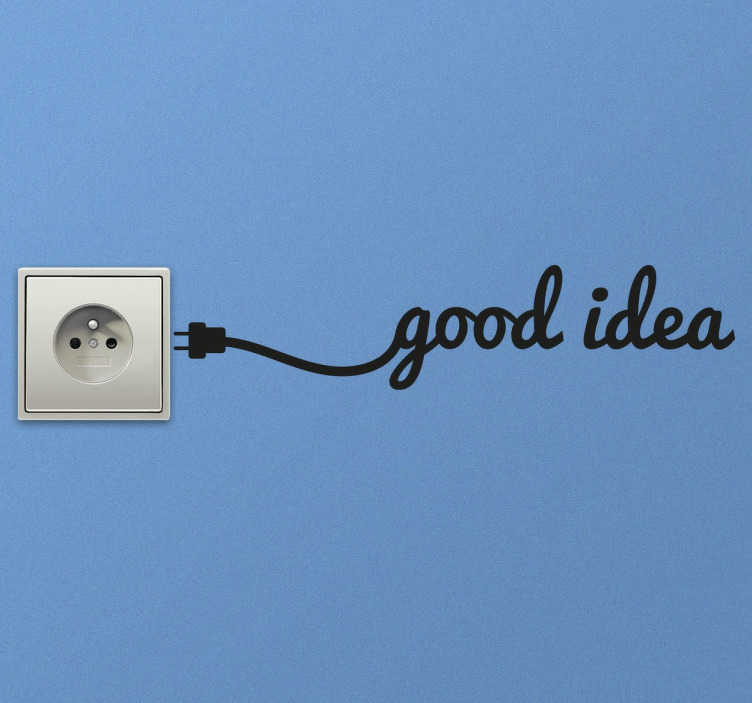 A fun and quirky wall sticker to place next to your light switch or plug boxes at home with the words 'good idea' and a cable coming out. From our collection of switch decals, a funny sticker that can bring a lighthearted atmosphere to any room in your home. Transform an otherwise boring and dull element such as a switch into something more attractive that your family and friends will love. Sizes indicated refer to the switch box itself. If you require different sizes email us at info@tenstickers.co.uk. Remind yourself that it's always a good idea to unplug your devices when you are finished!